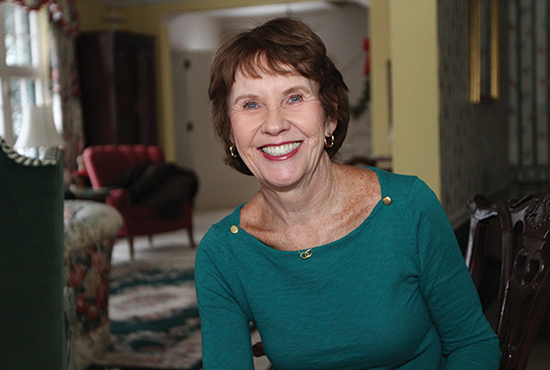 Author and St. Paul resident Mary Murray Bosrock has been writing for years. However, it wasn’t until she penned her most recent book, a memoir titled “Mortal Sin On My Soul” (Beavers Pond Press, 2013) about being raised Catholic in Sandusky, Ohio, during the 1950s, that she realized how instrumental Catholic school, nuns and priests were in her upbringing. “I took for granted the amazing culture I grew up with and the love and devotion my teachers showed all of us,” she admitted. The influence Bosrock’s religious role models had on her, from discipline to concern for others, didn’t end with childhood. While Bosrock is a member of Lumen Christi parish, she also is a self-described world church hopper, due to her frequent travels, and enjoys visiting schools to share her writing with young people while addressing today’s issues, such as bullying and showing respect for all God’s creation. Sister Midge Breiter, coordinator of the Office of Retirement Fund for Religious in the archdiocese, explained the need. In 2013, Catholics in the archdiocese contributed $412,997, $70,000 less than 2012. The national fund still aided many in need. “The retirement fund for religious was able to give $23 million for direct care to communities of women and men who applied for assistance,” said Sister Midge. That money helped 35,000 religious women and men nationwide. Bosrock reminds peers that the devoted men and women of our Church shouldn’t suffer due to others’ bad decisions. “I think most Catholics have a bit of media fatigue,” Bosrock said, urging others to feel confident that their generosity is going where intended. Sister Midge also reassures donors. For more information about the Retirement Fund for Religious, visit http://www.retiredreligious.org.